Sandra Bullock in Elie Saab. 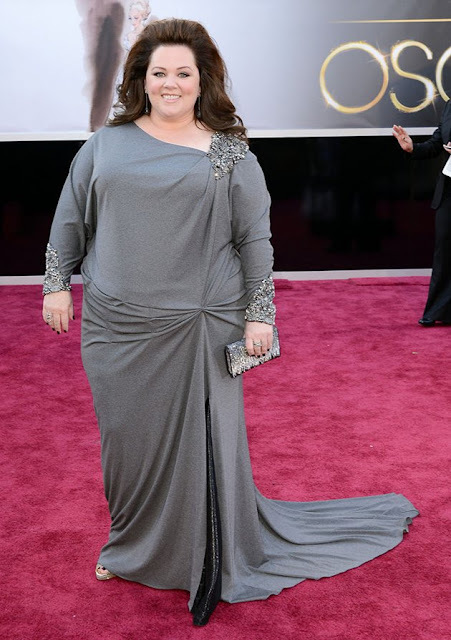 I LOVE this fellow Austinite & she rarely disappoints on the red carpet. This is definitely one of my favorites of the night. She's my favorite overall of the night. Granted I wouldn't have worn matching colored shoes, but I love her statement necklace & her hair and makeup are perfection! The hair is way too big & the dress seems ill fitted to me... I love her she is hilarious, but this didn't do her justice. Okay I don't know why I hate this dress, maybe because it looks like something you would wear to a high school dance, I don't know, but it was just horrible. Brandi Glanville in her own line dress. What were your favorite dresses? ?